Pipilika is Sanskrit for “ant”. When ants are at work, if there is an obstacle, they find their way around it but carry on with the work. Ants work with purpose, clarity, conviction and in well-coordinated teams. Our Pipilika team at Snehadhara seems to work exactly like this. They work with plans that often have to be changed on the go and yet ensure they make something rich even with the changed plan. Going with the flow while adding the quintessential flavours of Arts Based methodologies in group work; shaping the understanding of the group ever so gently while hoarding their own observations on how the arts trigger playfulness, healing and learning – the Pipilika team follows a steady path and works hard – with much joy! At Snehadhara we have always believed in empowering our children and those who work with them to gain a sense that one belongs and is included in meaningful ways in the community. This year through ‘Pipilika 2018-2019 – Building Communities’ we sought to nurture this idea and see it grow in the field of diversity that is all around us. We changed the format of Pipilika from the last four editions. We moved from working with children and groups in our premises, to discovering spaces that invite us to explore the richness of their environment. Pipilika 2018-2019 wished to be the driving force and reach out to communities to initiate, establish, maintain and nurture relationships with spaces that align with us. 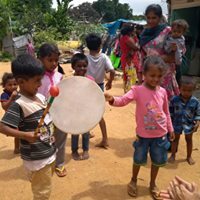 Through Pipilika, we travelled with our pitara of artistic media, beating our drums, singing our songs, waving the vivid flag of diversity and celebrating inclusion. 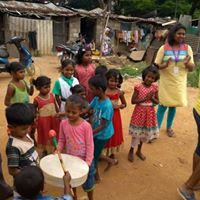 The teams consisted of many facilitators and interns from the Snehadhara team – Bunty, Arun, Parvathi, Rajeswari, Krutika, Ruthika, Varun, Lekha, Gandhimathi, Kavita, Rukmini, Divya, Shibani and Shaji. 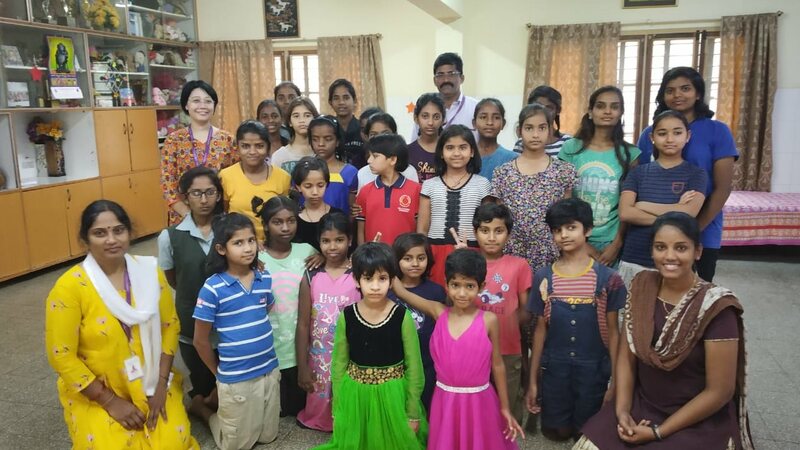 They travelled to Shivabala Yogi Ashram, Ragi Gudda Basti, Sunbeam Child Fund Association, Government Girls’ Home and Desire Society. At their first Pipilika session for this year, in Shivabala Yogi Ashram, the team used a poem on ‘Hands’ to open conversations on how our hands serve us. “Senior citizens had lot to share how they took care of their dear ones with these hands. Some shared how these hands are now helping her to continue her hobby of cooking. Someone else uses her hands to paint. The plan was to get the participants to paint with mint juice, beetroot juice, coffee paste etc using their hands. The group refused to do it but showed their desire to watch us do it. We did the painting,” says Bunty, one of the leading facilitators of the programme. Though the group diverted the plans early on, they steered the facilitators towards deeper interactions than had been expected. 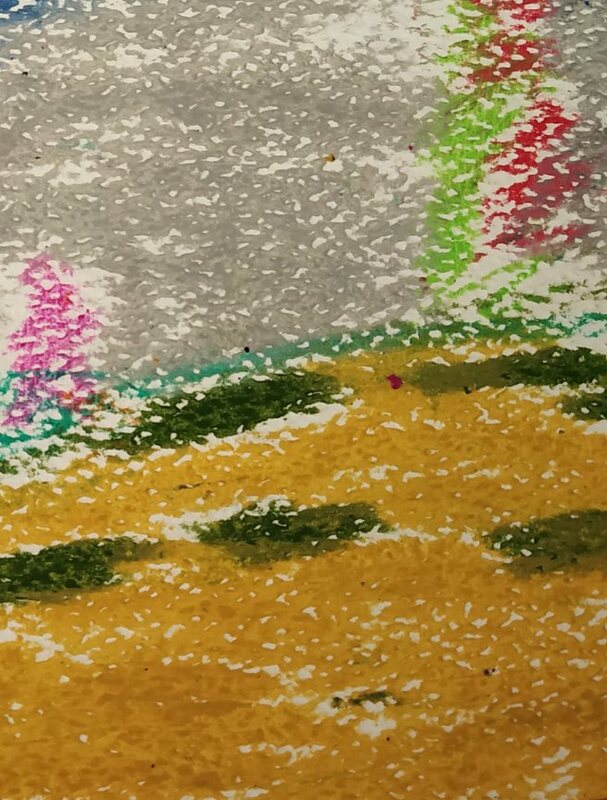 “It was beautiful how they clearly stated they would not like to work on the sensory activity planned after the poem but invited us to their rooms, told stories, shared their food.” They brought up images of how their hands had touched, nurtured, caressed and cared for others for most of their lives. It was a sharing of grief, accomplishment and lives lived fully, that left the facilitators deeply moved. 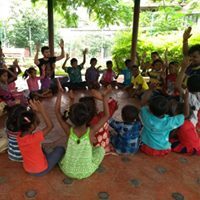 Arun echoed a similar experience at the Ragi Gudda Basti where the team went drum-beating through the by-lanes and got children together for a session on games and music. “We had planned for 25-30 children but got 60 together. They responded to the music and wanted more songs. 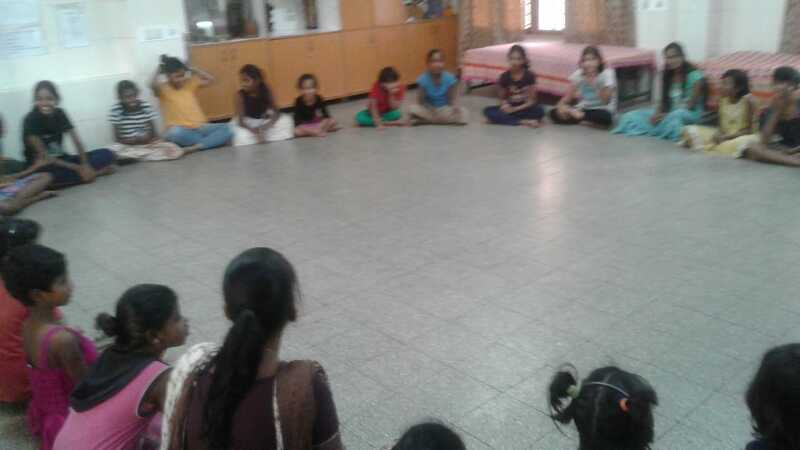 They even stood in the middle of the large circle and taught the others,” says Arun. The facilitators faced different issues in almost every organisation they contacted and fixed up with for the sessions. Like “children would be pulled out in the middle of the session for some other work;” Or age groups would not be adhered to; or the noise levels from the caregivers in the space would be a challenge; space would not be allocated as agreed; children would be sent in late, etc. Every situation demanded its own solutions and interventions and choosing these sharpened the team’s ability to work past obstacles towards making meaningful sessions happen. “We doubted our plans sometimes. We had to change and do something else” and this approach has been instrumental in bringing in a rich harvest of learning. The sessions provided much challenge and room for reflections and learning. 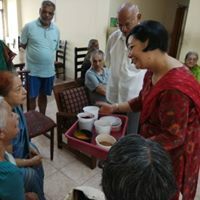 “Instead of sticking to my plan of visual art, I could have continued in the same flow” that the participants were taking me and maybe “created a poem from the lines shared by each of them on how their hands have served all their life,” says Bunty. It took just one visit to the Government Girls Home to understand that the numbers and constitution of the group may vary each time. “I learnt to go with at least two plans in my head,” she says. The facilitators also factored in the use of different languages including the nonverbal. They needed to plan in advance to take all the materials and bring them back carefully. Time adherence had to be monitored since the other organisations would also have their own schedules. The facilitators learnt the value of complete closure by making some mistakes like leaving a group that could not stop dancing in their high energy state. The team also learnt to internally plan the session between themselves and allocate roles and responsibilities efficiently. “If a child can’t learn the way we teach, maybe we should teach the way they learn,” wrote Ignacio Estrada. Building communities was the goal of the year-long Pipilika sessions. 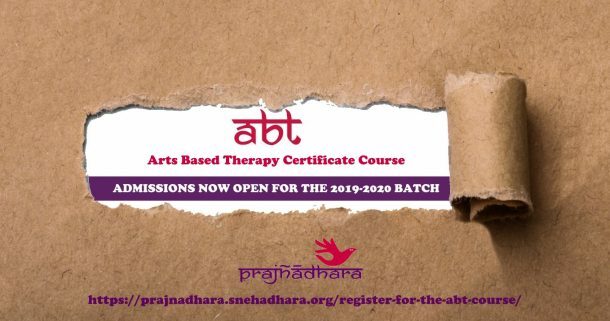 From July 2018 through February 2019, the facilitators have learnt to work together more closely, while opening their books to learning and teaching all at once in the most diverse community spaces.